The new HITS research group “Data Mining and Uncertainty Quantification” analyzes large amounts of data and calculates uncertainties in technical systems. With Prof. Vincent Heuveline as their group leader, the group of mathematicians and computer scientists especially focuses on increasing the security of technology in operating rooms. Natural Sciences continuously produce larger and more complex data sets – using elaborate sensor technology or computer simulations. But can researchers be sure that the results of their computer simulations are reliable and accurate enough even if some aspects of the system under consideration are not exactly known? The new research group “Data Mining and Uncertainty Quantification” at the Heidelberg Institute for Theoretical Studies (HITS) wants to shed light on this question. With Prof. Vincent Heuveline (Photo: HITS) as group leader, six researchers focus on the analysis of large data sets and on the calculation of uncertainties within technical systems. They use state-of-the-art technology from the areas of High Performance Computing and Cloud Computing. The research group maintains a close relationship with the University of Heidelberg, which is illustrated by the overall organization. Besides his professorship, Vincent Heuveline also works as director of the university’s computer center, where he and 85 employees are responsible for the IT infrastructure of Germany’s oldest university, from e-mail accounts to high-performance computers. He also heads a research group at the university, the “Engineering Mathematics and Computing Lab” (EMCL) at the Interdisciplinary Center for Scientific Computing. 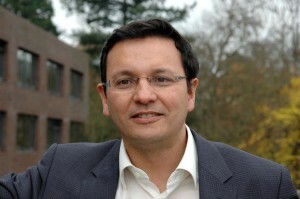 Vincent Heuveline (born in 1968) studied Mathematics, Physics and Computer Science at the Universities of Caen (France) and Würzburg. He received his PhD in Computer Science in 1997 from the Université de Rennes and habilitated in Mathematics at the University of Heidelberg in 2002. Since 2004, he was a professor at Karlsruhe University (KIT) until he moved to Heidelberg in May 2013.